Today, I'm featuring three sailing-related books focusing on quitting the rat race for a simpler existence living aboard a boat. Even if a sailing and cruising lifestyle isn't for you, you may find inspiration in these books to make changes in your own life and lead a life less "normal" and more fulfilling. 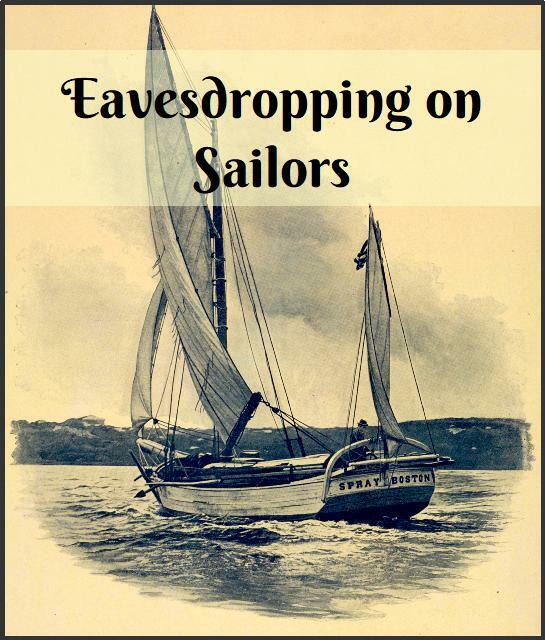 The author describes himself and his wife as carefree boat bums and beachcombers and in this book he tells you how they went about achieving a simpler life. He walks the reader through the process of getting rid of all of their stuff, his approach to debt, buying a boat, and living aboard full-time. Throughout the book, he spells out what he thinks is wrong with today's society and why living a “normal” life doesn't necessarily bring one happiness. His anecdotes and reflections provide compelling evidence that working hard to amass possessions, gain a certain social status, and achieve the “American dream” isn't the right path for everyone. His story may provide the inspiration you need to achieve your own dream, whether it's living a nomadic life on a sailboat or in an RV, getting out of debt and not worrying about making ends meet, or just choosing a simpler lifestyle. Interestingly, I believe the author has just put his boat up for sale. I'm curious to see what new adventures he and his wife have planned. After spending six years as a lawyer, the author turned her back on a lucrative career and the potential of making partner at her firm, instead embracing the freedom of life living aboard and cruising on a sailboat. Dike interweaves stories of her former professional life and childhood with accounts of the her sailing adventures. And she's not afraid to share her misadventures as well and what she learned from them. Whether or not you're interested in a cruising lifestyle, if you're stuck in a career that doesn't bring you joy and are dreaming of a simpler, more fulfilling lifestyle, this book may inspire you to make changes of your own. 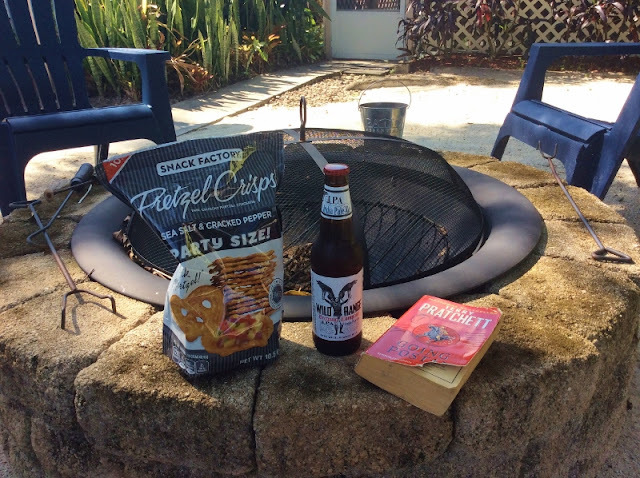 Off the Grid is an account of one man's journey from working 60-hour weeks and getting nowhere to living life off the grid and finding fulfillment and freedom in a simpler way of life. The author shares how he bought and outfitted a relatively inexpensive sailboat, cleared his debts, and his adventures cruising in Florida and the Bahamas. One of my favorite sections was about an encounter with a powerboat at night in the Bahamas which had run out of fuel. The author tells us how he towed their boat to the nearest port, but what makes this even more interesting was that he also shares accounts from both the husband and wife on the powerboat where they share their views about what must have been a very stressful experience. I also really enjoyed the diary-style entries where the author shares sections of his Captain's Log in between chapters. Throughout the book, he shares his personal philosophy – the importance of a positive attitude, the law of attraction, and simply having gratitude for all that life gives you. It's these kinds of personal insights which makes this book such an engaging read. Note: I won copies of all three of these books courtesy of Saving to Sail (a site dedicated to learning how to make money online, while sailing the world) and voluntarily chose to leave honest reviews. What books have you been reading lately? Have you read any of the books featured here today? 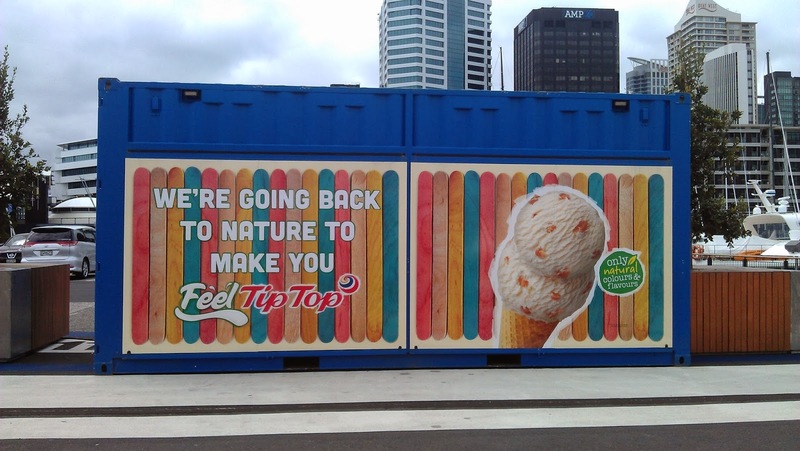 This is a flashback to when we lived in Auckland, New Zealand. We didn't have a car, so we walked everywhere. 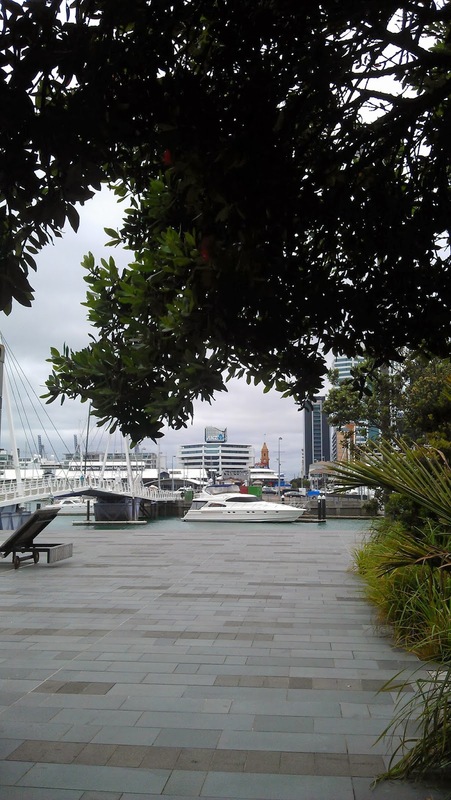 We lived in city centre (downtown) Auckland, so everything was convenient and we were a hop, skip, and a jump away from the waterfront. When I looked back at this post, I noticed that I only used metric. Hard to believe that once upon a time, I functioned in kilometers, kilograms, and hectares. This was originally published in December 2013 - you can see the original post here. 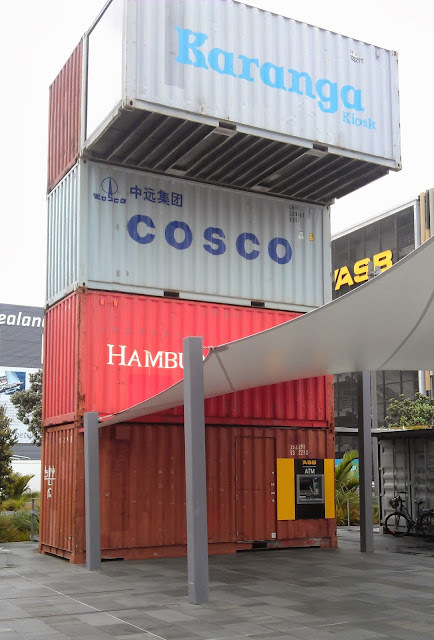 Wynyard Quarter is one of the new hot spots in the Auckland waterfront area and is undergoing a 25-year urban transformation plan, the first part of which was completed in time for the 2011 Rugby World Cup (which of course the All Blacks won). It sits on reclaimed land in the Waitemata Harbour and encompasses around 37 hectares of land and three kms of coastal frontage. There are all sorts of amenities for visitors to enjoy including a playground, public artwork, old siloes which have been jazzed up, a fish market and all sorts of cafes, restaurants and bars. 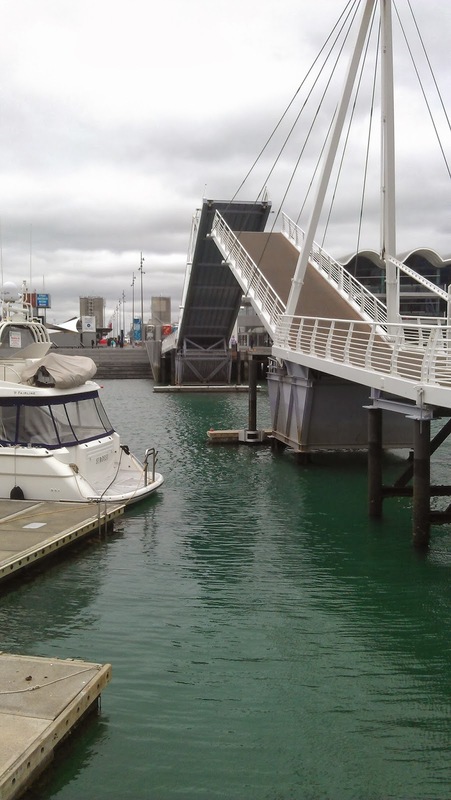 You can see all types of vessels in Wynyard Quarter including fishing boats, the Great Barrier Island ferry, classic Kiwi yachts and mega yachts. 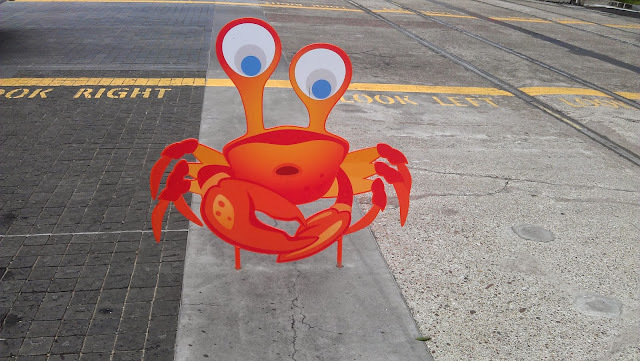 Positioned between the Viaduct and Westhaven, it is nice area to have a stroll, visit and explore. The drawbridge from Te Wero Island in the Viaduct which you cross over to get to Wynyard Quarter. View from under the pohutukawa trees back to the Viaduct and the drawbridge.. 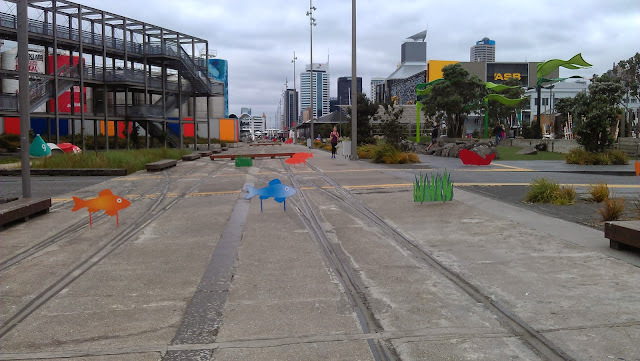 There is a lot of interesting street art scattered throughout Wynyard Quarter. 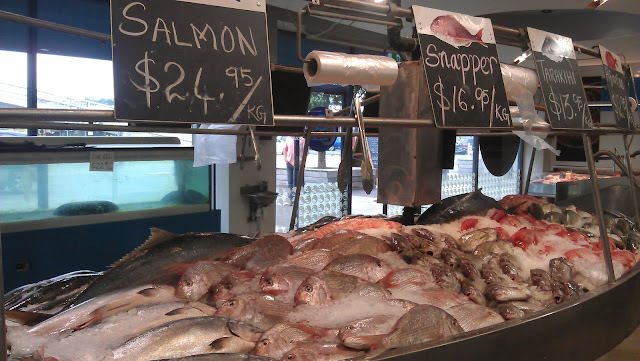 There's a fish market in Wynyard Quarter which is fun to explore. They sell good fish and chips there, but be warned if you want ketchup for your chips, it will cost you extra. 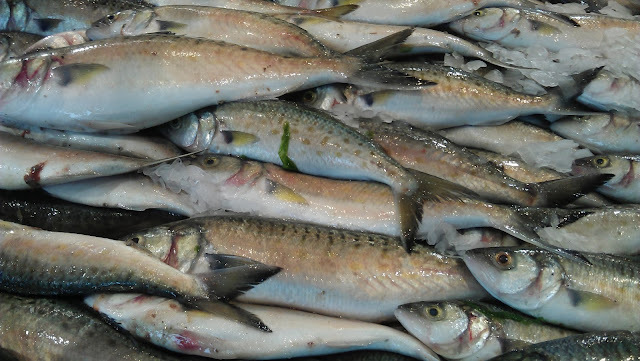 Yummy fish for sale. Although, I much prefer the ones that Skipper Scott catches for us. 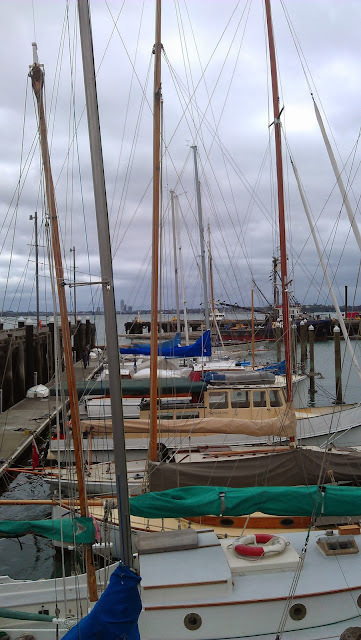 One of the many fishing boats in the Wynyard Quarter. They've repurposed old shipping containers throughout Wynyard Quarter. You can get money out of the ATM at this one. There is a television screen on the other side showing videos. At this one, you can buy some ice cream with the money you just took out of the ATM. 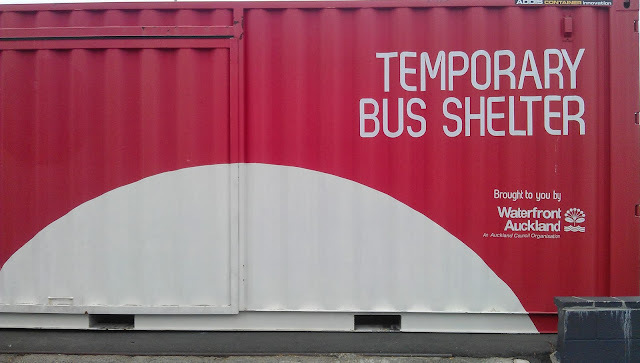 And you can even catch the bus from this shipping container. At the end of Wynyard Quarter is Silo Park. It is full of siloes. The name kind of gives it away. 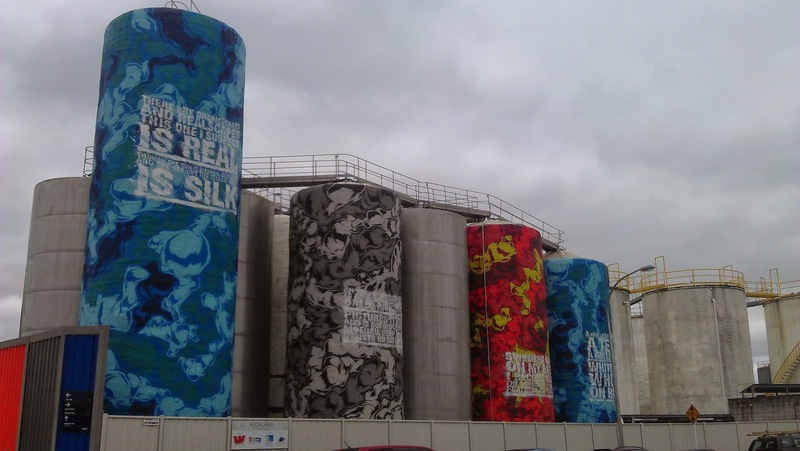 They've jazzed some of the old siloes up with colorful paintings. Silo Park marina is where the mega-yachts berth. 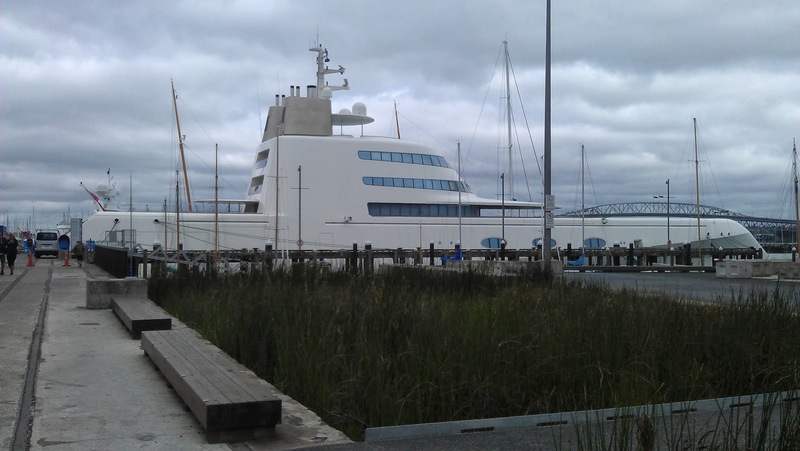 This ridiculous boat, the A, is owned by a Russian tycoon and worth $350 million. He has brought it into Auckland to be repainted. 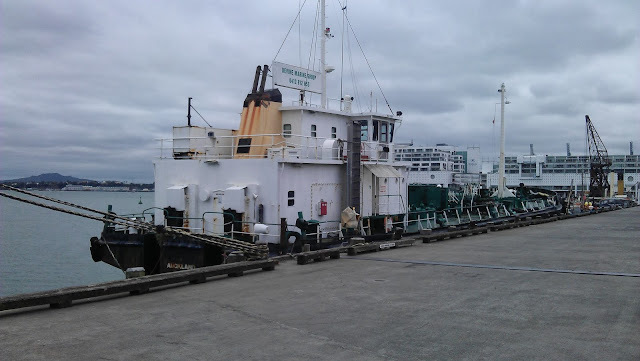 It is going to cost around NZ$30 million alone to repaint and take approx. 18 months. These boats are much nicer. And the most important thing to know about the Wynyard Quarter is that they just opened a branch of Sal's Pizza there. This is the best proper American style pizza in Auckland. I think they import the cheese from Wisconsin. 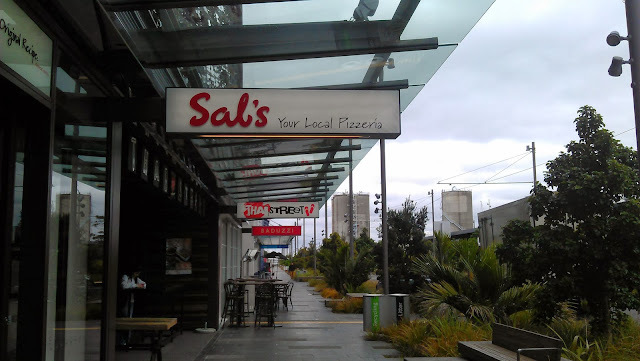 Getting a pizza from Sal's is a priority must-do for Scott this week now that he is back in New Zealand. Have you ever been to New Zealand? Do you like to go for urban walks? 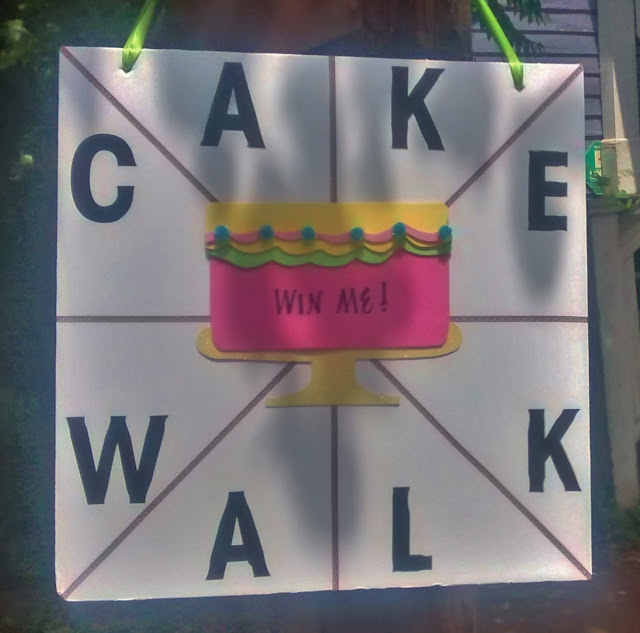 1 - How did I not know about cakewalks before? If you walk around a circle and land on the lucky number, you win a cake! 2 - When I was in Atlanta earlier this month, I went to the Cabbagetown Reunion outdoor festival where they held a cakewalk as a fundraiser for the local Patch Works Museum. 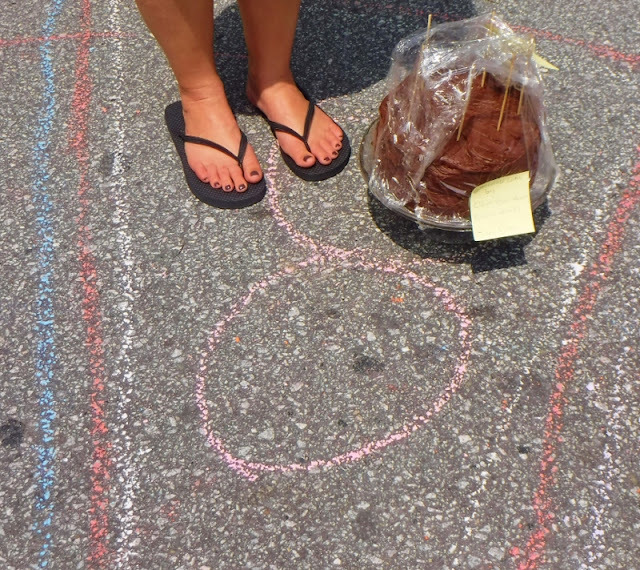 In exchange for $5, I walked around a colored chalk circle and when the music ended I landed on the number eight and had my choice of donated cakes. 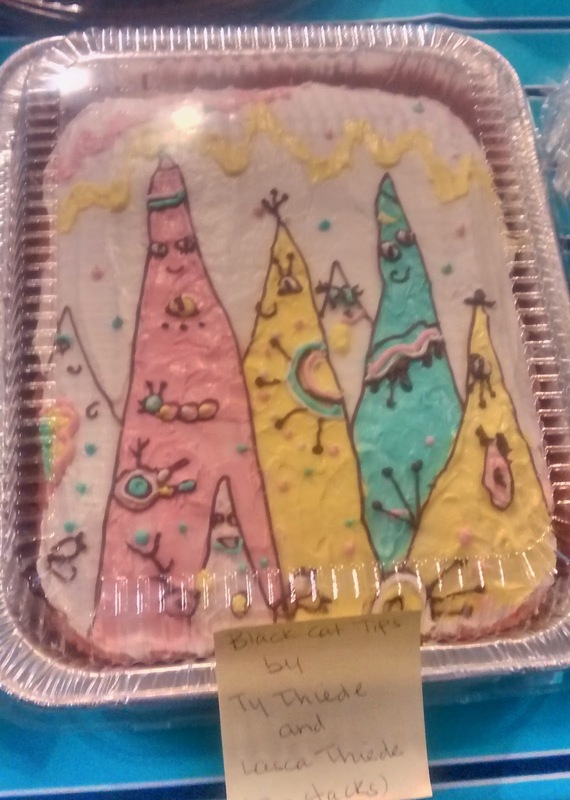 3 - There were all sorts of great looking cakes - including a creative one that looked like a plate of spaghetti and meatballs - but I had eyes for only one of them, the chocolate cake with chocolate frosting. Yum. 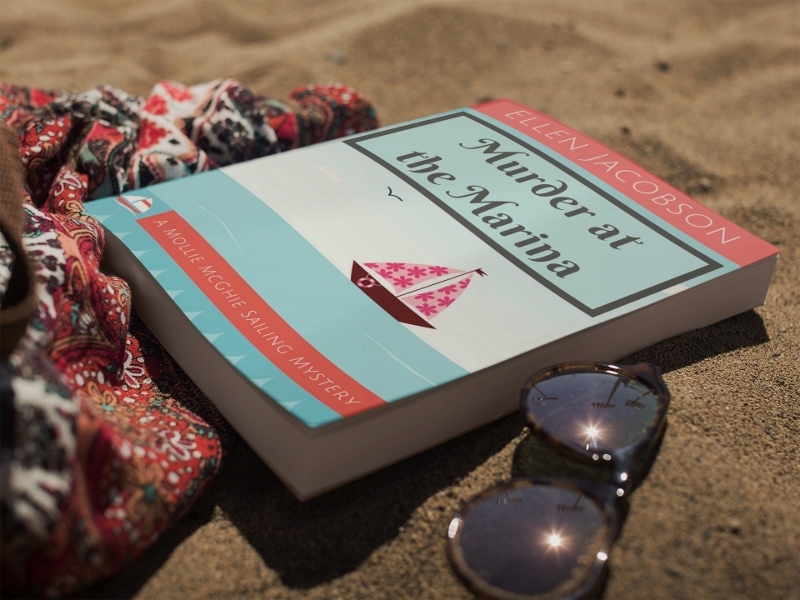 This is rather a short post today because why would you want to spend your time here when you could be over visiting all the other cool blogs participating in the Murder at the Marina Blog Tour & Fiesta? Last weekend, I was sitting in the patio area at our marina doing some laundry when I happened to overhear a conversation between some boaters. Yes, yes, I know - you call that eavesdropping in your neck of the woods. But if they didn't want me to overhear, they wouldn't have been talking right next to me, would they have? So I'm just going to stick with my description of it as some casual, run of the mill, overhearing. (2) it was kind of boring, like most conversations about boating are. Basically, all conversations between boaters who meet for the first time boil down to the same basic construct. "I just walked in on a guy naked in the shower." Okay, that's not a normal part of a boater conversation, but that's how this particular conversation started. Key takeaway - make sure you lock the door when you're taking a shower at the marina. Unless you're some sort of weird sicko who likes it when people accidentally walk in on them. In that case, maybe you should find another marina. Just saying. "So, what kind of boat are you on?" This question is key. Boaters immediately categorize other boaters into categories. Sailboats vs. powerboats. Catamarans vs. monohulls. Boat bums vs. well-heeled weekend warriors. Based upon your answer to this question, the conversation might end awkwardly or get competitive. "You poor things. How in the world do you manage with just one hull?" "We just installed a tennis court on the aft deck and it looks like all yours has going for it is mold." "You should see the bruises I have!" An integral part of any boating conversation is trying to one-up each other on either how much you've spent fixing stuff that breaks on your boat or who has had to contort themselves the most to fit into a small space to repair something. In boating, being miserable working in hot, cramped quarters, spending a lot of money on equipment and supplies, and getting plenty of bruises and cuts in the process is a badge of honor. Well, that's enough about that. But the good news is I'll have to do laundry again this weekend. Who knows what juicy tidbits I'll overhear. That really wasn't short after all, was it? What interesting conversations have you overheard lately? Murder at the Marina - a lighthearted and humorous cozy mystery - now available in ebook and paperback format. Today, Guilie Castillo is joining us to tell us about her new book, It's About the Dog: The A-to-Z Guide for Wannabe Dog Rescuers as well as offer some insights about how to handle dogs who hate the water. Ellen, thank you so much for inviting me to be a part of your Saturday Spotlight series! I’m thrilled to talk a bit with your crowd about my new book, It’s About the Dog: The A-to-Z Guide for Wannabe Dog Rescuers. I know several of your followers are into sailing and water-based lifestyles, as are you, so—although the book is about actual rescue (the process of identifying, befriending, helping, and catching a dog straight off the street)—I thought I could share some insights about the challenges that come after rescue, when it turns out that this once-stray dog, now adopted by a loving family, hates water. When Panchita, my first rescue here in Curaçao, came to live with us, I naturally assumed she would love water. This is an island—a rather small one, as far as islands go; no matter where you are in Curaçao you’re never more than five or six kilometers from the coast. And Panchita was a mutt of mutts, a dog who clearly came from a long line of mixed breeds, what locals here call ‘Westpointers’, or ‘Selikor terriers’. A dog of this lineage had to have the love of water woven tight into her chromosomes, right? Well, she didn’t. In fact, water terrified her. I, who had grown up in Mexico with dogs that jumped into the pool at the first opportunity, now lived surrounded by gorgeous beaches with a dog that refused to set foot in water, be it ocean or lagoon. She even skirted puddles (ever so daintily). So what does one do, when one’s love of water and love of (rescue) dogs seem so incompatible? It’s no secret that rescue dogs come with… how shall we put it? Issues. Some more than others, certainly, especially if they’re adult when you adopt them. The main thing to remember when dealing with rescues is that they’re individuals: there is no recipe, no ABC of steps to follow, that will work on each and every dog. (This is true of all dogs, all living creatures even, but even more so with rescues.) 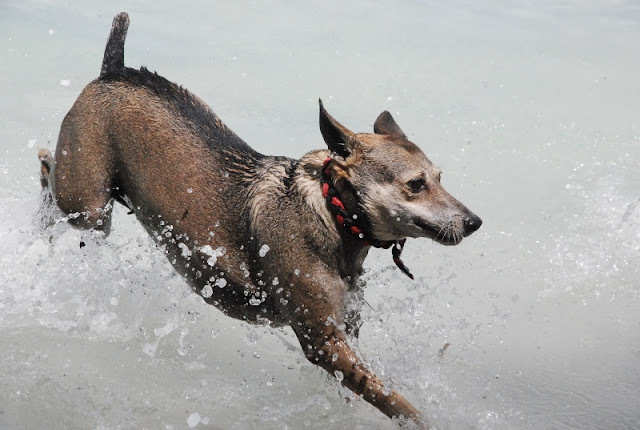 If your life revolves around water, and if you want to share that life with a rescue dog, here are a few tips to make your—and their—life easier. Puppies (under 3 months) are naturally more adaptable than adults, and usually have less phobias, so it’ll be easier for them to learn to love the activities you want to share with them, including water. Note, however, that I said ‘easier’, not easy. Certain fears and aversions seem to be inherited, hard-coded into DNA somehow, so getting a 12-week-old puppy does not necessarily mean you’re getting a blank slate. Yes, breed—when breed can be determined; rescues are quirky that way—may provide some indication, a foundation on which to base the training you’ll provide, but it won’t be determinant. I know Labradors that hate the water. And I know a Chihuahua who cannot get enough of it. Breed may be about aesthetics, but it gets a lot less predictable when it comes to behavior. Go Easy. At First and Always. Rescue dogs have very little experience of human kindness. For them, the canine-human bond has been broken; earning their trust is your first task, and dragging them into the lake is not going to help. Take it slowly. Go on a walk close to the water and observe their behavior. Does s/he seem curious or apprehensive about the water? Maybe you get lucky and s/he makes a mad dash into the surf the first time out; you’ve got it made. But if this doesn’t happen, you have your work cut out for you. You’ll need tons of patience, and—maybe more importantly—good humor. The reward, however—that moment when your dog overcomes his/her fear and discovers this weird thing is actually fun—is more than worth it. This is a tricky one, and I think the difference has a lot to do with attitude. The way I see it is this: if I offer my dog a chunk of, say, beef, and hold it just out of reach as I back into the water, using the beef as a sort of ‘carrot’ to lure him/her into following me in, I’m bribing. If, on the other hand, I actually give him/her the piece of beef (along with very enthusiastic cuddles and praise) every time s/he takes a step closer to the water, then I’m rewarding. Small distinction, but significant, and one that can have powerful long-term impact on how your dog responds to handling new situations. The Miracle of Professional Training. Don’t ever underestimate the transformative power of a trainer who knows his/her stuff. Even a puppy course, or a basic obedience series, will work wonders for any dog, but especially for rescues. Ideally, though, if you’re serious about committing to your dog’s mental and emotional well-being, you should talk to a trainer—someone experienced in working with rescues, someone who uses force-free methods—about setting up one-on-one sessions. Training isn’t only about dealing with a certain issue or modifying a certain behavior; the overall, and lasting, result is that it strengthens the bond between you and your dog. Think of it as a sort of language course in Dogspeak—and, when you take out all the fluff and chaff, all behavior issues are about communication, aren’t they? Getting your dog to understand you—and learning to understand him/her. Guilie Castillo, Mexican expat, writer, and dog rescuer, is the author of It’s About the Dog: The A-to-Z Guide for Wannabe Dog Rescuers (Everytime Press, April 2018), a hands-on, less-tears-more-action, 100% practical introduction to dog rescue. It’s About the Dog is available as paperback and ebook (find all links here). You can also add it to your Goodreads here. Have you ever had a rescue dog or cat? What obstacles did you have to help him/her overcome? Have you ever had a dog who hated the water? So yesterday was kind of a big deal. It was the start of summer in the Northern Hemisphere. 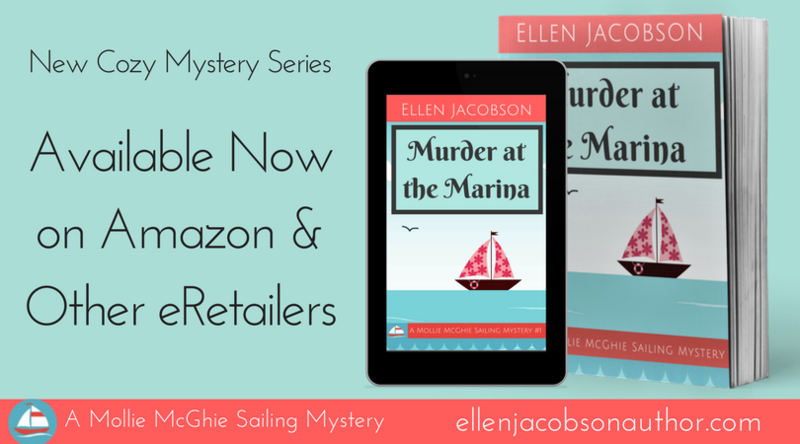 Oh, yeah, something else happened—I released my debut novel, Murder at the Marina. 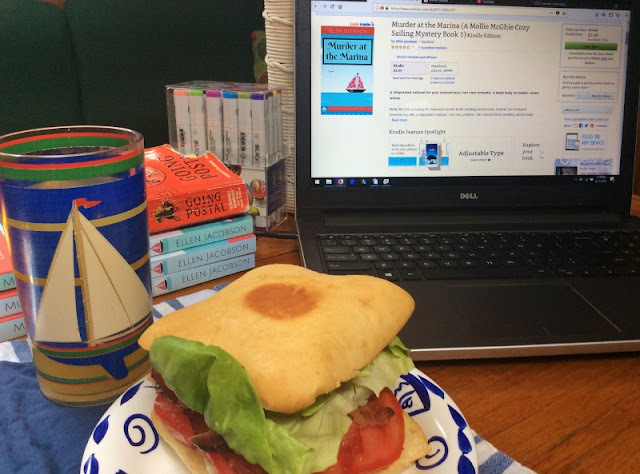 Have you ever been curious about the day in the life of a book release? If so, you're in luck! That's what today's blog post is all about. Or maybe you're one of those people who has no interest whatsoever in that type of thing, but you don't feel like working on what it is you're supposed to be working on. You're in luck too! This is the perfect time-waster. Read on! 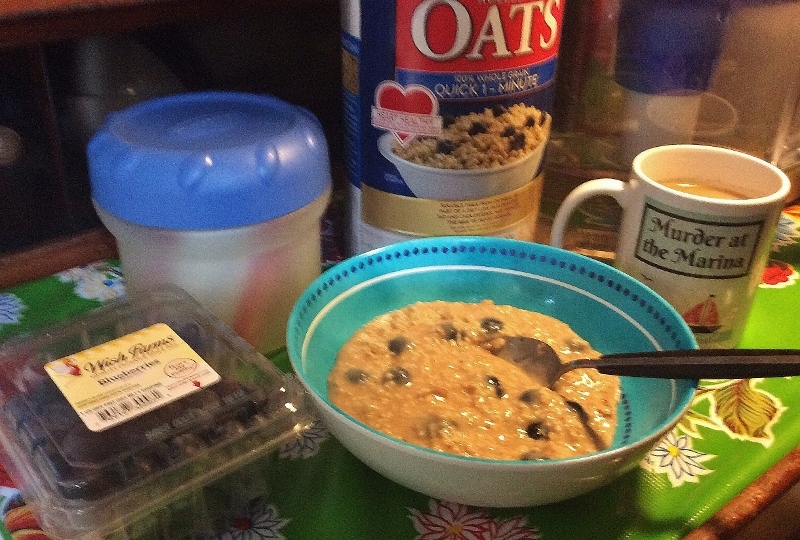 Here's how it all started—oatmeal and a cup of coffee. But not just any cup of coffee. Coffee in this amazing mug that my mom sent me. It has my book cover on it! Possibly the coolest gift ever. Checking sales reports and working on spreadsheets was tiring work. Snacks were required. 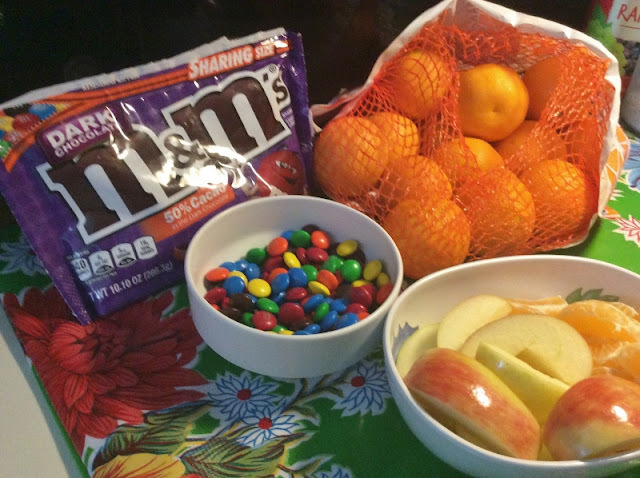 Which bowl do you think was finished first - the one with M&M'S or the one with fruit? Lunchtime! A BLT because nothing goes better with a book release than bacon accompanied by a glass of sparkling water with a splash of mango juice. Okay, maybe there were some M&M'S too. Over lunch, I checked out the reviews people have been leaving on Amazon and Goodreads. 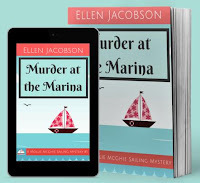 I was blown away by how many folks took the time to read and review Murder at the Marina. I spent time updating this site, my author site, and social media sites, changing references from "pre-order" to "now available." I even uploaded a cool graphic with sailboats which turned out to have had a glaring typo. Nobody seemed to notice, or at least they were too polite to say anything. That required ten M&M'S. Yes, I counted each and every one I ate on release day. 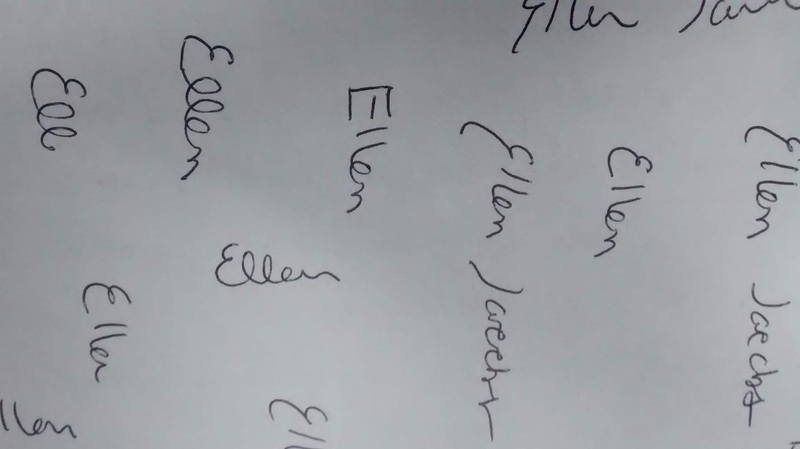 After that, I practiced signing my name. My mom and sister requested signed paperbacks, but my real signature is like chicken scratch. Possibly the strangest part of the day. I still haven't come up with a version that I like. Time for some more sales and rank checking. I'd always heard that new authors obsessively check their stats on an hourly basis. Not me, I told myself. Turned out I was wrong. I became completely and totally obsessed. I even discovered this site (Book Report) that makes a noise like a cash register every time you make a new sale. Very cool. 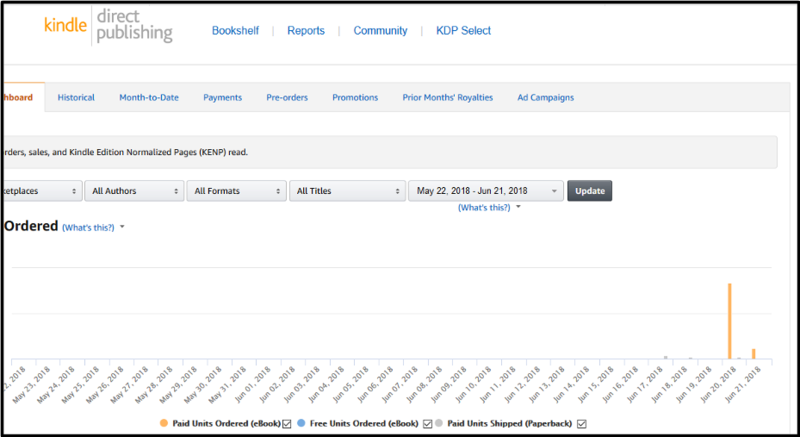 If you're interested, the ranking of the ebook edition at 2:00 PM was 151,503 compared to 56,049 the previous day and 27,028 when I first put Murder at the Marina up for pre-order. I'm not really sure how the mysteries of Amazon's algorithms work, but I do enjoy looking at graphs. Throughout the day, I kept smiling as friends sent me messages congratulating me on my release. We also had a great start to the blog tour and fiesta (check out the list of participants here). 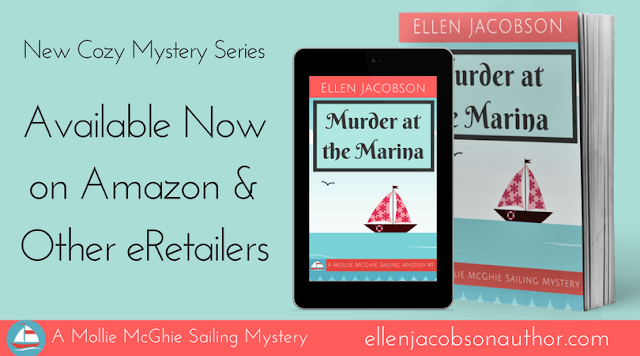 I spent time answering emails including one from a lady asking if Murder at the Marina would be available at her local bookstore. Sadly, the answer was no. 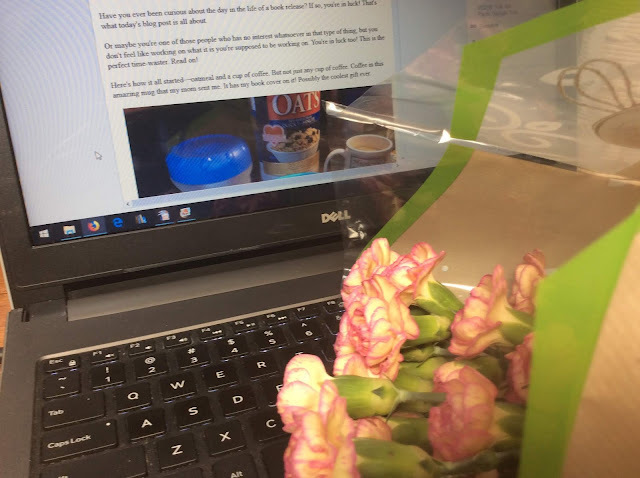 I was working away on this blog post when my sweet friend, Michele from Sailing Honu, dropped off some flowers for me. Too much time in front of the computer. So, I headed off to the marina patio for a beer and some more snacks. In case you haven't figured out by now, I'm always thinking about my next meal or snack. It was soooo hot outside. I think the real feel temp was over 100F. I didn't last long out there. I chatted with some marina friends, Julia and Gayle, on the way back to my boat. Gayle is such a sweetie - she pre-ordered a copy of my book, but of course the crappy marina WiFi wouldn't let her download it. 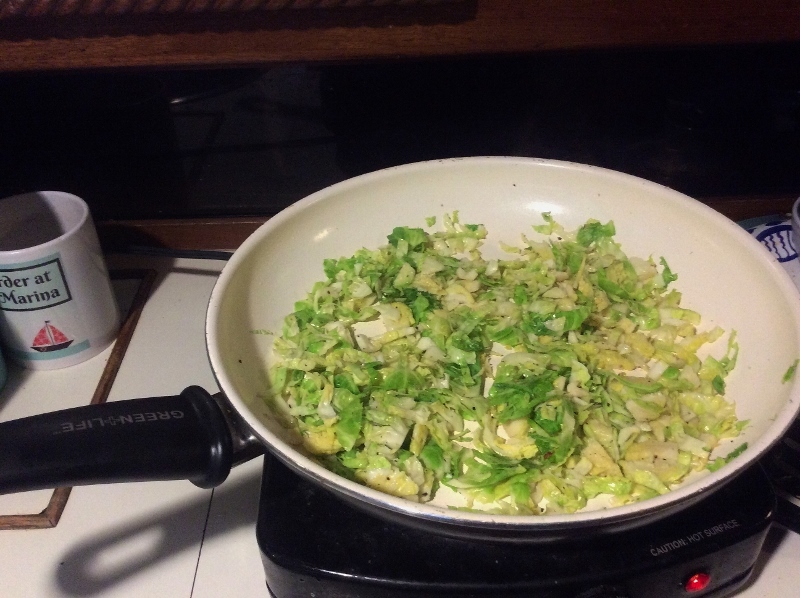 Later in the evening, I had some Brussel sprouts and rice. Yum. I did some more obsessive sales, rank, and review checking. 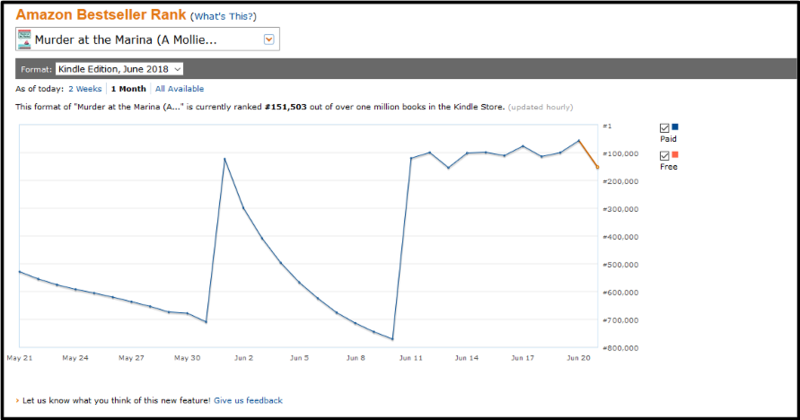 Made it up to 32,883 in the Amazon rankings and someone in Italy bought a book. Italy - wow! The day finally wrapped up with some bubbles and brownies. If you've read Murder at the Marina, you'll understand why I had brownies. 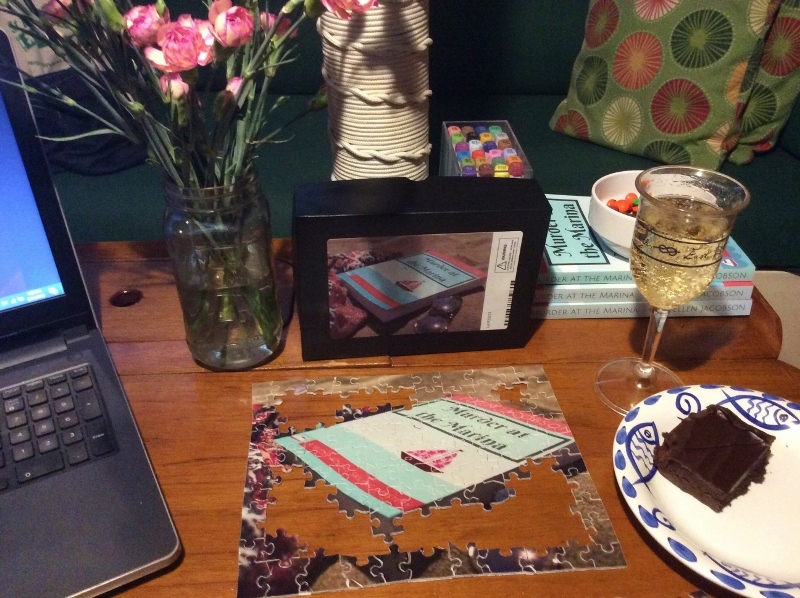 While I got my chocolate fix, I put together a puzzle my mom sent me. Yep, that's my book cover. She's the best mom ever, which is why I dedicated my book to her. Since I had woken up at 2:00 AM after a nightmare that I uploaded the wrong ebook files to Amazon, I was pretty shattered by the end of the day. So it was an early night and off to bed to dream about the next book in the series, Bodies in the Boatyard. A dilapidated sailboat for your anniversary - not very romantic. A dead body on board - even worse. Check out my author blog, sign up for my newsletter, and follow along on Twitter and my author Facebook page. Can you believe it, tomorrow is the release of >>Murder at the Marina<<! I'm torn between being really excited about the big day and wanting to curl up in a fetal position while downing a really large bag of M&M'S because the thought of anyone reading my book is really scary. 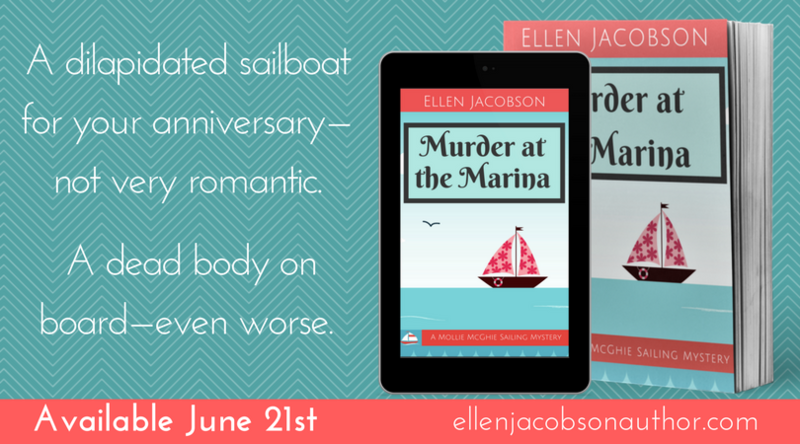 Fortunately, I've got the upcoming >>Murder at the Marina<< blog tour to distract me. Some very kind folks have agreed to spread the word about my book on their blogs starting tomorrow and running through July 4th. In fact, so many people signed up to help out that it's not just a blog tour, it's a. . . 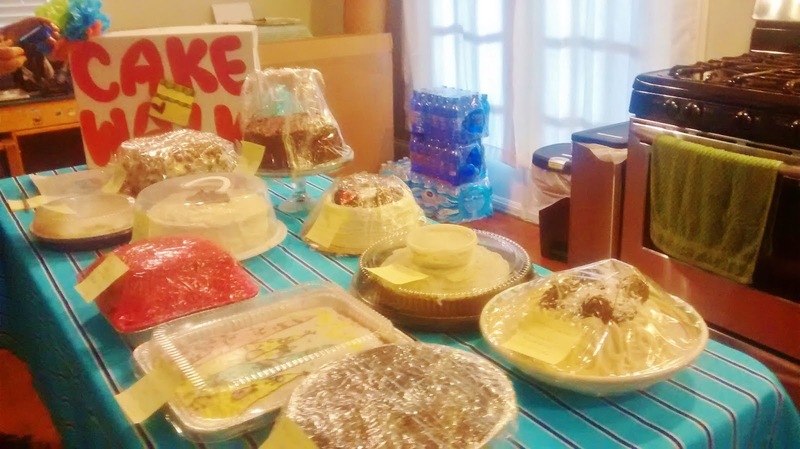 I'm absolutely blown away by how many people volunteered to pitch in. Have a look at the schedule below, check out these fabulous blogs, and make some new friends. I'll update here with their blog fiesta posts as they go live, as well as do updates on Facebook and Twitter with links to each day's posts. I got to know Molly through her old blog (great family recipes and book reviews on there) and she's just started a new one to better reflect the direction her life has taken where she'll focus on reading, writing, travel, photography, scrapbooking, and musings on MidLife. The fact that she shares a first name with the main character in my book is pretty neat (albeit with a different spelling). I've followed Deb and her husband's sailing blog for many years now and really hope our paths cross on the water one of these days. If you're thinking about buying a boat, check out their book, >>How NOT to Buy a Cruising Boat<<. It's one of those must-reads for wannabe cruisers. Deb also writes children's books. Jillian and her family are super adventurous. They're boaters and former liveaboards, they've been farmers in Idaho, and now they live in central New York with their three children. 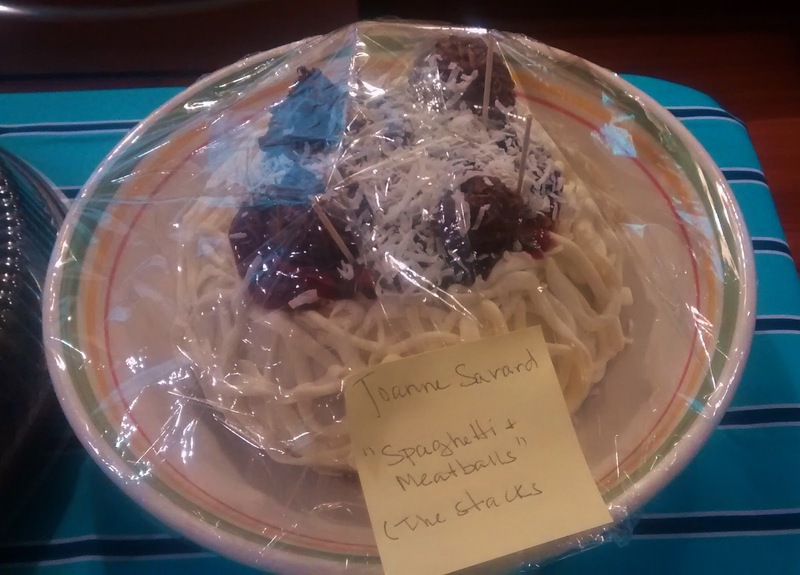 Jillian writes great posts about sailing, travel, family adventures, and homeshooling. Darla is one of those people who always leaves the most encouraging and uplifting comments on my blog, so you know that's she a special lady. She also has a soft spot for cats, which makes her an even more special lady. Anna is a talented writer (I've had the pleasure of beta reading for her - check out her books here) and shares wonderful writing tips on her blog. She's been a great resource for me over the past several years. I absolutely loved Susan's book, Hot Flashes & Cold Lemonade. She had me at the title and it just got better from there. 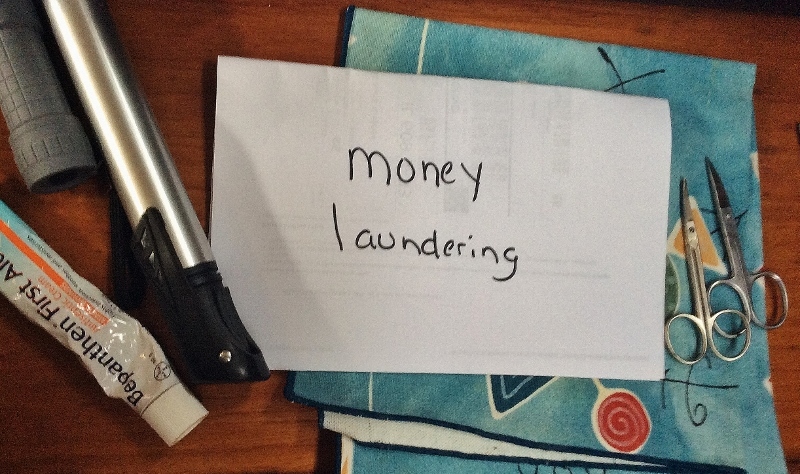 Susan's got a great sense of humor which really comes through on her blog. Jennifer is a psychologist and an author - which makes her a "psycho author." In addition to writing sports romances, she also recently published, Twin Sacrifice, a psychological suspense thriller that had me turning pages well into the night. So many exciting twists and turns. If you have kids, hop on over to Tonja's site and check out her reviews of children's books. From time to time, she also does book reviews for mommies and daddies, because every now and then, parents need a break and a good book to escape into. Sarah, her husband, their three children, and one dog all live aboard s/v Tarquilla in England. So cool! I love her posts about family life aboard their boat and the books she's reading. She's also a writer, which you can find out more about here. 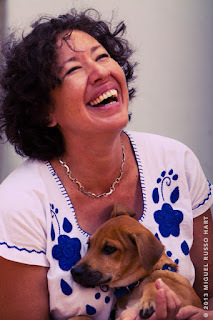 Guilie is a writer and a dog rescuer who lives on the island of Curacao. Yes, you read that right - she's a dog rescuer. Pretty awesome, huh? She's recently released It's About the Dog: The A to Z Guide for Wannabe Dog Rescuers. Chris is one of my sweet friends from Indiantown Marina. We'd been blogging buddies for years and it was so great to finally meet her in person. I think she's going to tell you how that all happened on her blog, so hop on over and get the scoop. Dru is a book reviewer extraordinaire. She showcases authors, has character interviews, features new releases etc. If you're looking for some new books to add to your To Be Read list, check out Dru's blog. I "met" Christine through the Insecure Writer's Support Group or IWSG (along with a lot of other people on this list). This woman is a seriously prolific author - check out her Totem series. Shapeshifters in Alaska, action, and adventure. . . yes, please! Alex is the founder and Ninja Captain of the IWSG. I honestly don't think I'd be publishing a book if I hadn't have found his writer's support group. He has given so much of himself to the writing community. And on top of all that, he's written the amazing Cassa space opera series. I've read them all. He's also a big film buff and I'll be talking about some boating-related movies over at his place. While I've haven't had the opportunity to meet Tyrean in real life, I can tell that she's a real sweetheart. She was another one of my awesome beta readers, providing thoughtful and constructive feedback. She teaches language arts at a homeschooling cooperative and is a writer herself. Check out her YA Christian fantasy series, the Champion Trilogy. Rebecca writes awesome cozy mysteries (check them out here) and she's a library person, which makes her super cool in my book. Rebecca was one of my fabulous beta readers and has been there every step of the way for me. Lucy, Matt, and their adorable dog, Hastings, live on a catamaran. They have one of the funniest sailing blogs I've ever run across. Even the posts that Hastings writes are hysterical.Yes, dogs can write blog posts, despite their lack of opposable thumbs. That's what humans are for - to take dictation. Jen is a writer of southern fiction and magical realism, fairy tales and folklore, who I had the pleasure of getting to know through the IWSG anthology, >>Hero Lost<<. 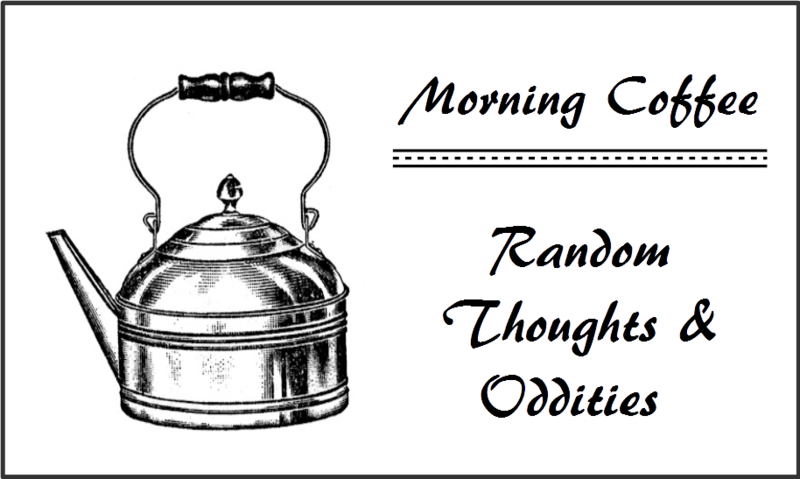 Her blog posts provide delightful insights into her daily life which is chockful of books, tea, gardening, and gorgeous needlework. I love the name of Shannon's blog. My muse is a rather annoying cat, but Shannon's muse is cool - a warrior muse! We have a few things in common - she's a fellow writer (check out her latest release) and she's been chased by a shark (I'm still scarred by my shark encounter in Tahiti). Autumn is one cool cat. All you have to do is check out her website and you'll agree. She's a fellow sailor and writer and the author of the Perilous & Sparks series which features two savvy teen agents who keep their cool in a dangerous cloak and dagger game that spans the globe. I really like how Diane combines her love of mystery, adventure, science fiction, and romance into her writing. Her scifi romance novella, Mission to New Earth, was a great read. I feel like if we ever met up in person, we'd have a lot to talk about, including our shared love of the scifi series Firefly. Chrys is another of those kind and supportive people I've met through the IWSG. I think Chrys has hit on a really unique idea - she's combined romance with natural disasters in her Disaster Crimes series. She also shares writing advice and tips - what she calls "sparks" on her blog and YouTube channel. I met Bill and his lovely wife, Nina, through my sister - they're all library people in Portland, Oregon. Since they own a sailboat and we own a sailboat, my sister thought it would be fun to get us all together. And it was fun! 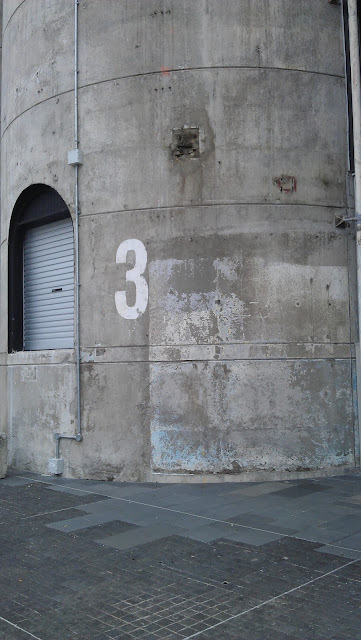 Check out their blog and see the amazing transformation they've making to their Cascade 36. Erika is one of the most positive people out there on social media. I enjoy checking her Twitter feed to see her latest inspirational quotes and posts. She's a Kansas girl and I loved how she wove in descriptions of life in the Wheat State into her short story in the Hero Lost anthology. L. Diane Wolfe is one of the driving forces behind IWSG. She runs Dancing Lemur Press which published the Hero Lost: Mysteries of Death and Life in which I had my very first story published. She's also a writer herself, a cat lover, and a Minion fanatic - just some of the many reasons why she's so awesome. Crystal is one of those people who amazes me. She's a homeschooling mom of a large family, she's a published author (check out her Maiden of Time series), and she still finds the time to support fellow bloggers and writers. Oh, and did I mention that she loves cheese? Anyone who loves cheese is okay in my books. How many M&M'S do you think I'm going to eat tomorrow on release day to calm my nerves? Put your guess below in the comments and I'll be sure to count and report back exactly how many were consumed. I've lived on a sailboat for so long that sometimes I forget just how weird it is. But then there's the bilge to remind me that's it's a weird life. And the turkey baster. That's weird too. This is the bilge on our boat. It's usually covered up by a floorboard because it's scary inside. 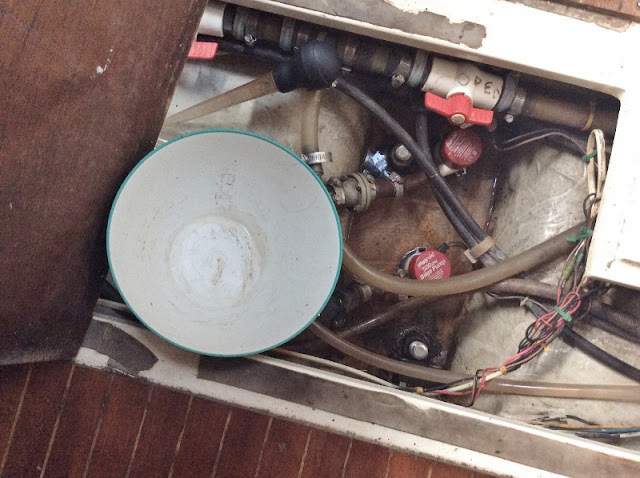 Wires, hoses, bilge pumps, keel bolts and the thing you don't want to see. . .water. Water belongs on the outside of your boat, not the inside. We're in the rainy season and there's been a lot of thunderstorms. So much rain. So much water. So much water that isn't content to drip off of the decks, but instead likes to worm its way inside and drain into the bilge. Where exactly it's coming from is anyone's guess. Every day, I've been monitoring the bilge and draining water out of it. When it gets too high, the automatic bilge pump takes over. But because our manual bilge pump is acting up, I do my part too, by emptying it out myself with a tiny cup and my trusty turkey baster. Yes, a turkey baster. I told you life on a sailboat is weird. 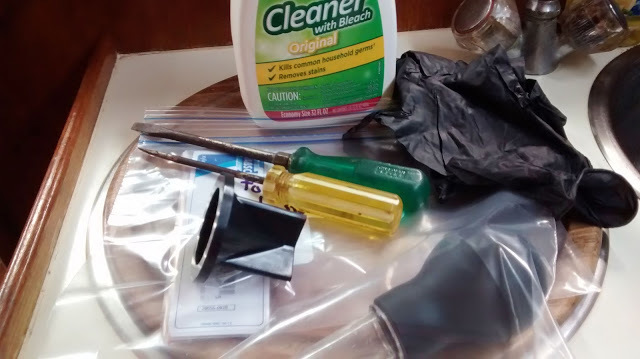 Turkey basters aren't just for Thanksgiving anymore, they can get liquid out of hard to reach spots, including the marine toilet when you need to change the joker valve. Don't worry, I made sure to label my baster with a warning >>Do Not Use On Turkeys<<. It's amazing how much more relaxed I am these days about water in the bilge. I remember back a few years ago when we had an issue and I thought out boat was going to sink. Nowadays, I just sigh and get out my turkey baster and reflect on the weirdness of life. What's weird about your life? Do you have to label your turkey baster? Paul at Lat43 does these hysterical Morning Tea blog posts which are a brain dump of whatever pops into his head while he's writing them. I decided to steal his idea. Except, I'm drinking coffee while I write this and he drinks tea, so it isn't really stealing, is it? So, here we go - all of the random nonsense floating through my head while I sip on my morning coffee. I stayed at a house in Atlanta earlier this month that came complete with two cats, one dog, and an Alexa. I loved the cats, the dog was sweet, but Alexa creeped me out. The thought of an object in the corner talking to me was weird. As much as I love reading scifi, I don't think I'm really cut out for a world populated with androids and AIs. Of course, I'm one of those people who has the camera on my computer covered up with blue tape. You know that they're watching, don't you? Some raccoons got on my boat in the middle of the night and made a terrible racket. I'm assuming they're raccoons because the alternatives that I imagined are frightening. Like an army of Alexas trying to break in and remove the blue tape from my computer. What would you do if you had a child named Alexa? How would she know if you were talking to her or the box? I asked Alexa about it. She told me we could change her name. I think she meant her name, not the child's name, but who really knows what AIs mean. They're devious that way. Dogs smell peculiar. What gets me is that it doesn't seem to bother them in the least. Cats freak out if they get something gross on them and clean themselves immediately. The dog I stayed with was called Mr. Chien. I can't pronounce French in the morning before my coffee, so I just called him Dog. He seemed perfectly happy with that. But, then again, he's the type of dog that's pretty happy with everything. When I got back to the marina, I found soylent green around my boat. It wasn't as bad as a couple of years ago, but it's still pretty scary to think what the chemicals involved in sugar cane production can do to the local waters. If you haven't watched Soylent Green, you should. You might want to think carefully about what you're going to have for dinner afterward though. The house I stayed at had one of those machines with coffee pods. I'm not sure what they're called, but they're wonderful. You don't have to clean up coffee grounds, you just chuck the plastic pod in the trash. Yes, yes, I know - so bad for the environment. That's why we don't own one. Okay, that's not really why we don't own one. There are other considerations like lack of space in our galley, the fact that you need electricity to run it, and because we're cheap. We have a perfectly good French press that does the job. Plus we'd feel guilty about all of the plastic pods. Plane tickets are expensive right now. We're looking at flights back for Scott and it's gonna cost a pretty penny. Are pennies really pretty? Where did that expression come from? I spent most of my time in Atlanta trying to win over the two cats. They let me rub their bellies, so I think I was successful. I think I'm going to name my next cat Alexa. What did you think about over your morning cup of coffee, tea, or other beverage of your choice? What time did you wake up at? 1 - Maybe it was the beer I had just had, but I thought it would be interesting to take a picture of what was on my chart table. 2 - You'll find chart tables on boats. They're where you store and look at nautical charts. Although, nowadays, many people use electronic charts instead of paper charts. 3 - So what's on my chart table? Two pairs of nail scissors which my very frugal friend used to "dissect" an old backpack so that she could re-purpose the zippers etc.